I’ll go ahead and say it- I almost feel bad for Michael Henson and Jon Campbell (CEO and Board Chair of the Minnesota Orchestral Association, respectively). Yes, they’ve presided over one of the biggest cultural disasters in recent memory, ripped off their own musicians and ignored the patrons (and of course any and all blogs), and altered the musical landscape in Minnesota for years to come. True, they are in many ways directly responsible for the immense emotional and financial hardship experienced by the musicians of the Minnesota Orchestra for the past year, and most likely for some time to come. And after all those millions raised (and spent), now they’re stuck with no orchestra and a concert hall no one will use and that will probably get picketed. Yet I still find myself sympathizing in some unusual way, probably because I don’t think either of them (or the MOA Board) could’ve possibly envisioned the travesty they unleashed. Like many outside observers, at first I figured the intransigence of the MOA Board and management was simply a negotiating tactic, something so draconian that they knew it wouldn’t be taken seriously, and eventually they’d come to their senses and find a path forward of shared sacrifice that would meaningfully address the financial concerns while preserving the artistic excellence that had so beautifully flowered over many decades. Detroit and Philadelphia were recent memories with their own issues, but this was different. Clearly this orchestra was at an artistic apex with Osmo Vänskä, at least that was never in dispute. Who would even risk throwing all that away? Turns out that was the wrong question. Anyone closely following the twists and turns over the last year (and especially recently) can only arrive at one conclusion: despite the very real questions raised involving basic standards of competence and common sense, the MOA and management did seriously prepare to reinvent the wheel, and are now willing to sacrifice the fundamental artistic standards of the institution if necessary. Now it’s just about damage control and saving face. I truly believe that the only reason the substantial efforts of former Sen. George Mitchell and Gov. Mark Dayton haven’t been successful is that somehow Mr. Henson and Mr. Campbell, blinded by industrial-sized ideology, titanic egos, and raw hubris (read- fear and cowardice) now believe that even seriously sitting at the table will be perceived as some sort of failure. You cannot simulate this sort of ignorance, so blatantly obvious to anyone really paying attention. To many, these two will forever be known first and foremost for this debacle. Is that to be celebrated? Okay, Mr. Campbell will eventually have his millions from Wells Fargo and his corporate perks and whatever, and Mr. Henson will, well, I don’t know what he’ll do when he finally steps down. But I have a feeling that somewhere way down inside they grasp the magnitude of this, and on a purely human level that cannot feel great. I also believe there are MOA board members who deeply regret their blind allegiance and will not remain silent forever. After all this, what exactly has been accomplished? Has there been any upside at all? And perhaps most critically, how can other institutions learn from this tragedy? 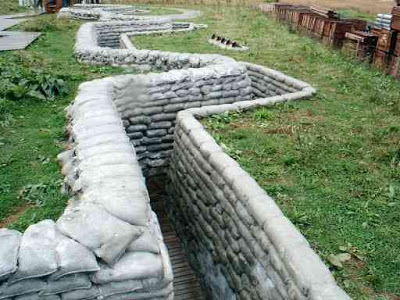 However the next two weeks play out, I sincerely hope those questions will be widely and intensely explored, and that the lessons from this sort of trench warfare will never be forgotten. No way should anyone feel sorry for these people. They set out to take down the orchestra, just as the congress and top 1% are taking down the USA as we know it. I don’t necessarily feel sorry for them, as I wrote in the first sentence. But demonizing the musicians (and to a certain extent, the patrons) is at the root of this mess. As we’ve seen in Congress, more demonizing is probably not constructive. Frank, I had the opportunity to speak with several fervent supporters and even a retired board member of the Milwaukee Symphony. They are all happy with the “new” director, who I believe was a MS musician – a SUCCESSFUL one (and therein lies the issue). I was telling them about the Twin Cities situation and they were appalled. They believed in getting good talent and letting them do their job. I’m ashamed to say that I have been thinking I might have to drive 6 hours to Milwaukee now for a symphony concert. I’m glad your first sentence has the word “almost” in it. Thanks for your great blog, Frank. You should know that Richard Davis, CEO of US Bank, is the mastermind behind the MOA plan and is still running the show. He is the former board chair, led the search committee that hired Michael Henson, and currently leads the MOA negotiating team. I’ll say no more. Yes, something about certain bankers up there, I suppose. I think Mr. Davis’ role is pretty well-known to anyone following this saga, and since he’s no longer chair, I focused peripherally on the other two legs of the board “leadership”. Maybe even Mr. Davis will eventually realize that although delegating blame and demonizing your most critical talent are somewhat common in the corporate world, that approach tends to be counterproductive in the arts sector, as the whole world now sees in Minnesota. And btw I don’t think “negotiating team” is an accurate description; all I’ve seen from them so far is a group of people determined not to negotiate. While I, too, am thrilled at the “coming-together”, I believe this management team intended from the beginning to take down the orchestra and create a junior orchestra with players right out of school (read “cheap”). They intend to make the Hall simply a venue, and not necessarily a music venue. Music plays a part in their new mission, but certainly NOT a world class orchestra and not much classical music, either. I’m a long time ticket holder, now a really disgruntled one — So, I, too will likely be heading down the road to Milwaukee this winter — I have a brother there, Paul Fairchild of the Creme City Foundation, that might let me sleep on his sofa symphony nights. He might even come with me! Hi, and thanks for your comment. I’m wondering if you could clarify what you mean by the “coming together”? I’m assuming not a Beatles reference. Frank you are right, perhaps the most amazing part of this is the complete disregard the Board and management have for the current ensemble (including the artistic director). Early on there was some lip service to the goal of keeping these talented musicians during the negotiation but now we have heard that anyone who leaves will be easily replaced, and for those who do choose to leave, it’s a question of “loyalty”. Odd way to cultivate loyalty. They truly seem bent on destroying the organization to save it, as they see the path forward to success. Thanks so much for your email. Yes, not much left to say about MN orch. A real tragedy; even with our issues here in WI I’m glad I don’t live in Minneapolis, a newly minted capital of cultural ignorance thanks to the MOA.